This International Symposium on User Expertise and Interactive Systems (UEIS) is a place where researchers and practitioners from Human-Computer Interaction, Cognitive Science, Experimental psychology discuss the latest trends at the crossroad of HCI, Decision making and Skill acquisition. This event will take place at Sorbonne Université, UPMC, Paris (France) the 31st October 2017. Nowadays, people make many of their everyday choices with the help of interactive applications. But the influence of these applications on our choices is neither well understood nor always positive. What we need is (a) a coherent, research-based conceptual framework for understanding how people make choices and how these choices can be supported and influenced by interactive applications; and (b) computational support for applying this conceptual framework to the analysis and design of applications that people use when making choices. The results of my efforts to fulfill the first requirement are now available in several publications. Work on the second requirement began in 2017 with the initiation of the Chusapedia project. The core component of Chusapedia is a knowledge base that stores models of how people make choices and how choices can be supported. This knowledge base currently includes the Aspect and Arcade models introduced in Choice Architecture for Human-Computer Interaction, which are in turn based on a synthesis of a wide range of research on choice and choice support. Ongoing work involves adding more specific models, tailored to particular problem types and/or domains – as well as competing models based on different conceptions of choice and choice support. Several of the other talks in this symposium suggest possible extensions of these types. The second main component of Chusapedia is an interactive web application intended for use by designers and evaluators of any choice-supporting intervention, which can consist of one or more interactive applications and/or nontechnical means for supporting choice. The user of this Chusapedia App continually benefits from the above-mentioned knowledge base while (a) analyzing the choice processes to be supported and (b) selecting intervention features intended to support them. An intervention designed with Chusapedia remains available to other Chusapedia users for later reuse and adaptation. As far as is practical, I will refer to the content of other symposium talks to illustrate the benefits of using Chusapedia and contributing to the extension of its knowledge base. Users have many options to enhance their productivity with applications, such as customizing the interface or learning new interaction strategies. One example is to use hotkeys which enable rapid execution of frequently used commands. However, "expert" features like hotkeys are often ignored and users stick to "novice" interaction mechanisms, limited by a relatively low cap of performance. In this talk, I will be presenting my work toward improving user's expertise with software applications. In particular, I will explain the design and evaluation of systems for helping users to use "expert" features while interacting with desktop computers and touch-sensitive surfaces. Innovation and creativity are the research drivers of the Human-Computer Interaction (HCI) community which is currently investing a vast amount of resources in the design and evaluation of “new” user interfaces and interaction techniques, leaving the correct functioning of these interfaces at the discretion of the helpless developers. In the area of formal methods and dependable systems the emphasis is usually put on the correct functioning of the system leaving its usability to secondary-level concerns (if at all addressed). However, designing interactive systems requires blending knowledge from these domains in order to provide operators with both usable and reliable systems. Operators are usually highly trained and training program design, implementation and evaluation are an important component challenging usability with learnability concerns. The talk will present possible research directions and their benefits for combining several complementary approaches to engineer interactive critical systems. These approaches blend various modeling techniques that are the only way towards dependable interactive systems offering options for validation and verification. The presentation will highlight the benefits of (and the need for) an integrated framework to support the iterative design of operators' procedures and tasks, training material and the interactive system itself. A specific focus will be on automation that is widely integrated in interactive systems both at interaction techniques level and at application level. Examples will be taken from interactive cockpits on large civil commercial aircrafts (such as the A380 and A350), satellite ground segment application and Air Traffic Control workstations. Tangible User Interfaces offers a mean to manipulate a physical objects that could be mapped onto (discrete or continuous) commands. While one tangible user interface can be mapped onto one single command at a time, the composition of several tangible user interfaces to form a more elaborate command remains a challenge. Focus on one type of tangible user interface, i.e., the cube, we will examine the theoretical possibilities and compare them with the actual manipulations that end users tend to operate. The question of “what makes an expert” requires solving, at least, four categories of “mysteries of expertise”. First, what led one person to invent the Fosbury Flop while all other high-jump contenders had long stopped searching for new methods and sought only to perfect the established ones? Second, what leads many people to be content with being good (30 wpm) “hunt and peck” typists (Yechiam, Erev, Yehene, & Gopher, 2003) while surrounded by a sea of average (70 wpm) touchtypists? Third, what leads many people who have learned expert interaction techniques to fall back on novice modes of interaction while others do not (Fu & Gray, 2004; Lafreniere, Gutwin, & Cockburn, 2017)? Fourth, why do many who acquire difficult but expert-level techniques that enable them to perform well in demanding situations, continue to use these difficult techniques in even the simplest of situations? Situations in which less demanding “novice” methods would suffice to obtain equivalent levels of performance? Listeners beware! The solution to these mysteries are currently being pursued and are not yet solved. While “motivation” is recognized as playing an important role in each of the four categories, this talk will largely neglect motivation in favor of the cognitive issues. Likewise, while some very intriguing data will be discussed, firm answers will not be provided. 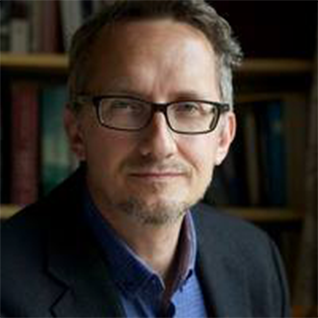 Kasper Hornbaek is professor with special duties in Human-centered Computing at University of Copenhagen. His core research interests are human-computer interaction, usability research, and information visualization; detours include eye tracking, cultural usability, and reality-based interfaces. He is especially interested in improving human interaction with computer systems through empirical investigations of how computers are used and through explorations of innovative user interfaces. Kasper serves on the editorial board of ACM Transactions on Computer-Human Interaction. He has published at CHI, UIST, ACM Transactions on Computer-Human Interaction, and Human-Computer Interaction, and won IJHCS’s most cited paper award 2006-2008. In 2015 he was awarded an ERC Consolidator grant to work on body-based user interfaces. Andrew Howes is Professor of Computer Science at University of Birmingham and Marshall Weinberg visiting professor at the University of Michigan. He has previously held academic posts at the University of Manchester, Cardiff University, Carnegie-Mellon University and the Medical Research Council, Cambridge. He is known for his work in Cognitive Science and Human-Computer Interaction and he focuses on computational rationality, that is in computational models of human behaviour that adapt to human cognitive capacities, as well as to the statistical structure of the environment. His recent book offers a general integrative framework for understanding human interaction with technology (Payne and Howes, 2013). Professor Howes is an Associate Editor at the International Journal of Human-Computer Studies and Cognitive Science journal. He has been an Associate Chair for ACM SIGCHI for a number of years and he is program chair for the Annual Meeting of the Cognitive Science Society (2017). His work has recently been funded by NASA (2015), by the US Air Force Research Laboratory (2013-2015), by the EU (SPEEDD: FP7-ICT-2013-11 2013-2017), and by the ESRC (ES/L00321X/1 2012-2014). Anthony Jameson has conducted research on a number of aspects of interactive intelligent systems, working at the intersections of psychology, artificial intelligence, and human-computer interaction. He has been principal researcher at the German Research Center for Artificial Intelligence (DFKI) and founding coeditor-in-chief of the ACM Transactions on Interactive Intelligent Systems. In order to focus on the type of work discussed in his talk, he recently founded the startup Chusable AG. Sylvain Malacria is a research scientist at Inria Lille. His research interests are in the areas of human-computer interaction (HCI), with additional focus on designing new interaction techniques. He especially focuses on understanding and improving the transition from novice to expert mode in graphical interfaces. During his Ph.D., he worked on identifying which type of resources (software and hardware) can be used to enrich the input bandwidth. He has published at CHI, UIST, ACM Computer surveys. He spent two years at the University of Canterburry (New Zealand) with Andy Cockburn and one year at the UCL/BBC Lab with John Dowell. Philippe Palanque is professor in Computer Science at the University Toulouse 3 and is head of the ICS (Interactive Critical System) research group at IRIT. Starting in 1995 he spent 2 years at CENA (Research center of civil aviation) to develop and apply formal specification and interactive system design techniques to the field of air traffic control. For 4 years he has been involved in several research projects funded by the French Department of Defense dealing with the notations and tools for the specification of real-time interactive systems (including Command and Control systems for drones, multimodal interfaces for military cockpits and ground segment systems in satellite control rooms …). As for civil aviation, he is now involved in the specification and certification issues of new interactive cockpits (that have to be compliant with ARINC 661 specification standard) of aircrafts including A380, A400M and Boeing 787. He is the secretary of the IFIP Working group 13.5 on Resilience, Reliability, Safety and Human Error in System Development and is steering committee chair of the CHI conference series at ACM SIGCHI. He edited and co-edited more than twenty books or conference proceedings and co-authored more than 200 refereed publications in international conferences and journals. Jean Vanderdonckt is Full Professor in Information Systems at Louvain School of Management (LSM, Université catholique de Louvain (UCL). He was President of Louvain School of Management Research Institute (ILSM) from December 2011 to October 2015. He is Head of Louvain Interaction Laboratory, a lab that conducts research, development, and consulting services in the domain of user interface engineering, an area located midway between software engineering, human-computer interaction, and usability engineering. He is also Invited Professor at Polytecnic University of Valencia, Spain. He is the scientific coordinator of the ITEA2 UsiXML European project (www.usixml.eu) that gathers 22 members from 6 European countries and coordinator of the UsiXML Consortium. He is a Senior Member of ACM, IEEE. He is co-editor in chief of Springer Human-Computer Interaction Series (http://www.springer.com/series/6033). He is ACM Distinguished Speaker. Wayne Gray is a researcher in the fields of computational cognitive modeling, cognitive neuroscience, interactive behavior, extreme expertise, cognitive workload, and human error. His research focuses on detailed studies of longitudinal changes in individual human performance -- especially performance in dynamic, real-time tasks -- tasks in which even hesitating requires a decision to hesitate. These types of tasks require us to focus on the interaction of perception, action, and cognition within dynamic, externally-paced, task environments. Recently, he formulated the “Plateau, Dips, & Leaps” framework (Gray & Lindstedt, 2017) that focuses on identifying -- for individual humans -- periods in which no progress is being made (plateaus), periods in which people discover or invent new methods (sometimes signaled by “dips” in performance), and periods in which new methods are implemented and performance soars (“leaps”) over what would have been expected by those slow and gradual forces postulated by the log-log law of learning (see Gray & Lindstedt, 2017, for a discussion of these points). Since earning his Ph.D. from UC Berkeley he has worked for government and industry research labs, as well as universities. He is currently a Professor at Rensselaer Polytechnic Institute with appointments in three departments. Wayne is a Fellow of the Cognitive Science Society, the Human Factors & Ergonomics Society (HFES), and the American Psychological Association (APA). In 2008, APA awarded him the Franklin V. Taylor Award for Outstanding Contributions in the Field of Applied Experimental & Engineering Psychology. He is a past Chair of the Cognitive Science Society and the founding Chair of the Human Performance Modeling technical group of HFES. At present he is Executive Editor for the journal, Topics in Cognitive Science (topiCS). In 2012, he was elected a Visiting Research (Forschungsaufenthalt in Deutschland) by the Alexander von Humboldt Foundation and spent his sabbatical at the Max Planck Institute Center for Adaptive Behavior and Cognition (ABC) in Berlin. Most recently, he received an IBM Faculty Award from IBM’s Cognitive Systems Institute. In the 19th century, Napoleon confided the site of the abbey Saint-Victor then in ruins, to wine merchants. This exceptional place developed throughout the quai Saint-Bernard, to give rise to the Halle aux Vins de Paris. At the construction of the Jussieu campus, it was decided to keep traces of this place: within the Esclangon building, two magnificent vaults were kept in the basement of a modern building.